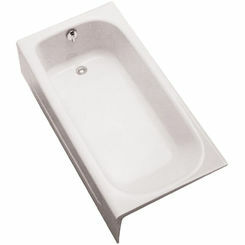 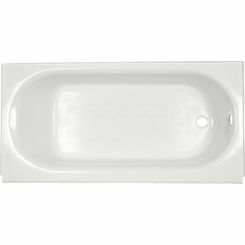 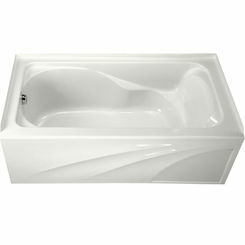 Toto FBY1500P Cotton White Enameled Cast Iron Bathtub 60-3/8"x36-1/4"x22-1/4"
Size : 60" x 30" x 14"
Toto FBY1715LP Cotton White Enameled Cast Iron Bathtub 65-3/4" x 32" x 16-3/4"
Toto FBY1525LP Sedona Beige Enameled Cast Iron Bathtub 59-3/4" x 32" x 16-3/4"
Toto FBY1700P Cotton White Enameled Cast Iron Bathtub 66" x 32" x 18-5/16"
Toto FBY1715RP Cotton White Enameled Cast Iron Bathtub 65-3/4" x 32" x 16-3/4"
Update your bathroom with the installation of a Alcove bathtub. We offer plenty of options to choose from when it comes to bathtubs, and here you will find units with the most common configurations and functionality. 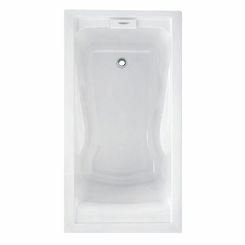 Here at PlumbersStock, you can choose from a variety of affordable bathtubs that will add the perfect finishing touch to your bathroom. 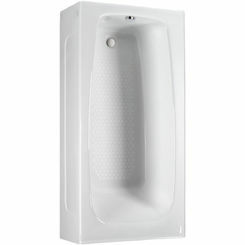 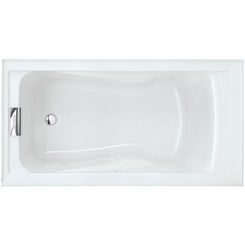 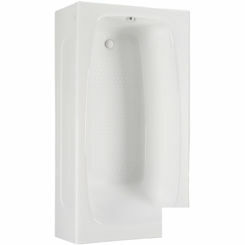 Our selection of standard tubs offer a variety of dimensions so that you can customize the size to your installation. 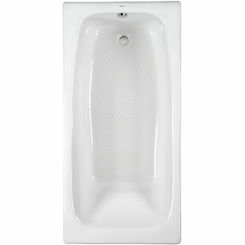 We carry all the products you need for a complete installation, including grab bars, bath drains, tub faucets, and more. 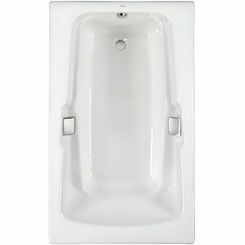 The typical bathtub is 60 inches in length, 30 to 32 inches in width, and between 14 and 16 inches in depth, but close variants are very common. 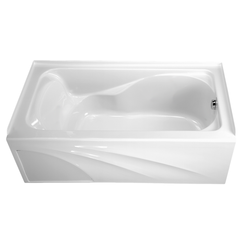 Obviously finding the right size is pivotal, so make sure the spot for your tub meets standard measurements before making the purchase. 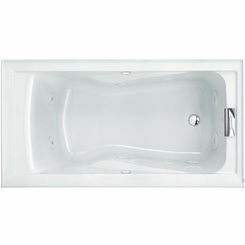 If you have the space we recommend considering a bigger bathtub. Adding to the length and width will make for more comfortable bathing, but remember that a bigger bathroom tub means more water, so if waste is one of your main concerns then stick with standard sizes. 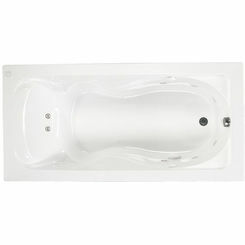 Deep soaking tubs allow for a relaxing bathing experience and are a very affordable way to max out the look of a master bathroom. 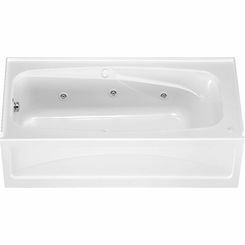 Many builders will include a soaker tub rather than a jetted tub because they are so much more affordable but tend to increase the value of the home much more than a standard drop-in bathtub. 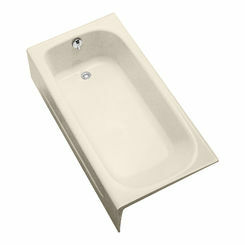 Low mobility tubs allow for a low entry walk-in door as well as a seat and a textured floor for easy tub use and access.  We always offer unbeatable prices and great customer service. 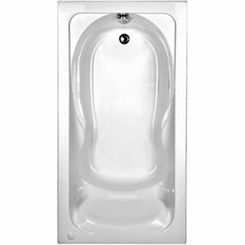 Our huge inventory ensures that we’ll have the part to complete your project whether you need a drop-in bathtub or a freestanding unit. 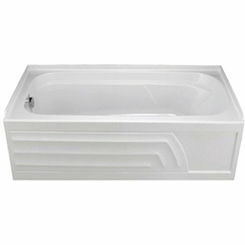 Find the best bathroom tub for your home at a great price here at PlumbersStock.